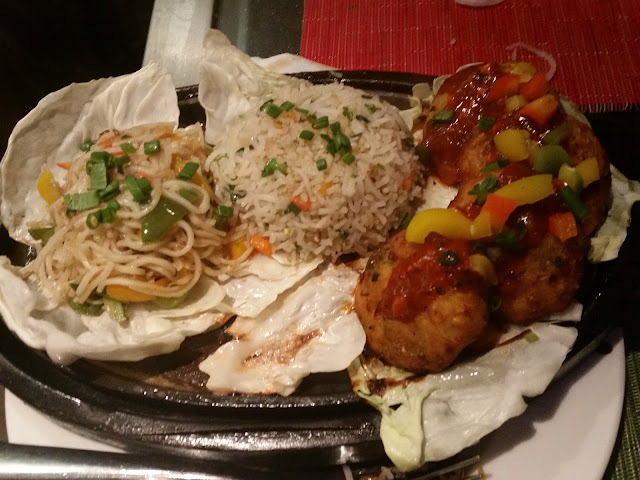 We started with Paneer Tulsi Tikka Sizzler. 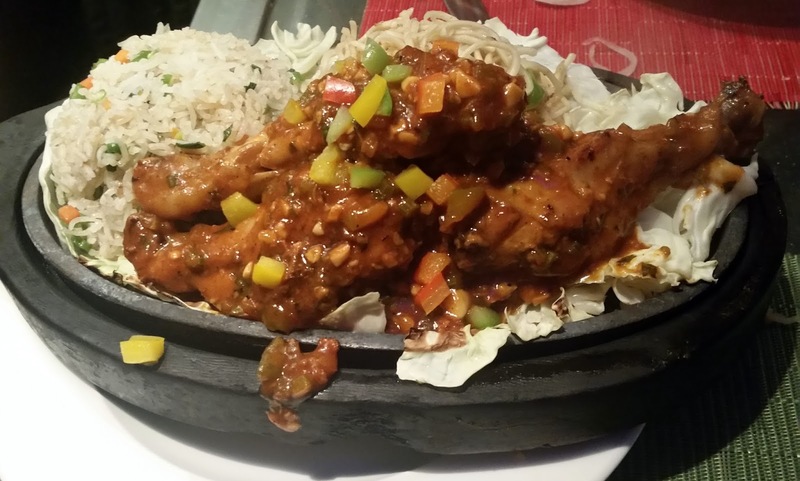 The sizzler had large chunks of soft paneer flavored with basil and cooked over charcoal. Whereas in isolation the taste rustled up was good, the basil flavor was very very mild, which was a dampener. 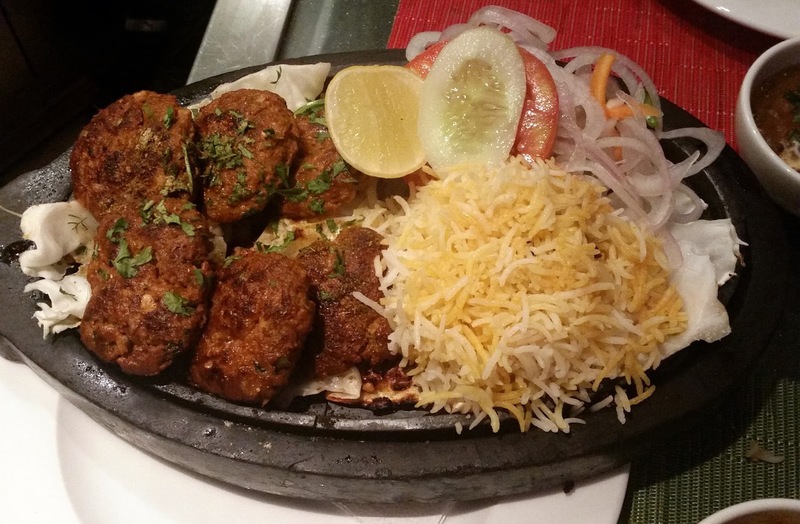 The biryani rice served with the sizzler was flavorful. The Chapli Gosht was one of the best for the day. The minced meat patties had the strong mutton base coupled with the aroma of the spices. 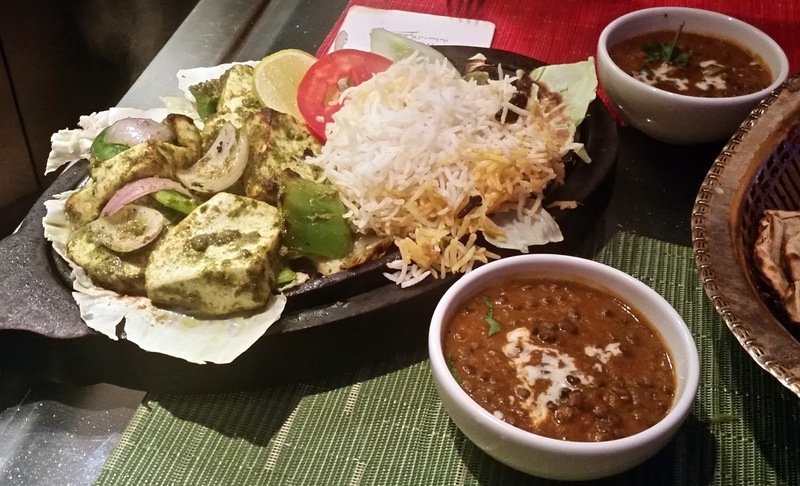 The dish can be enhanced with adding a pudina based dip along with the sides. A bite into the Kasundi Jhinga (prawns in Bengali mustard sauce) leaves you with a strong aftertaste. The quantity of mustard used was optimum and the prawns were just done to the right texture and softness. I would have preferred replacement of biryani rice by ghee rice in this dish, as that goes well with Bengali style prawns. Barbeque Chicken Drumsticks were the next to arrive, served with sides of noodles and fried rice. I liked the dish as the barbeque sauce tasted nice. Singapore Corn Cakes were a miss for me. The corn patties had no taste, and the sauce provided on top was very little. I would have loved some hot and spicy dip with it. 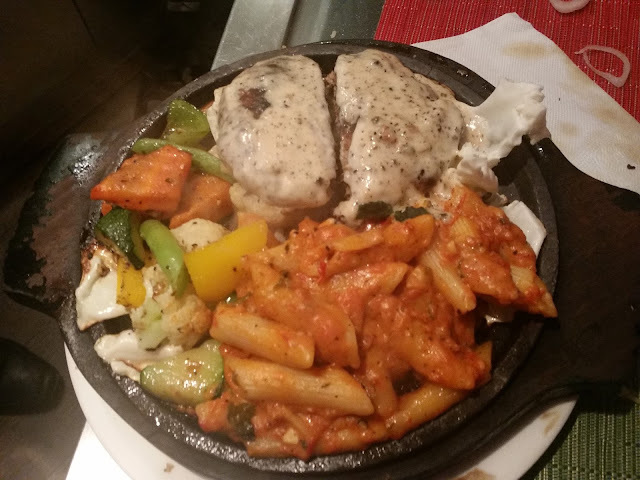 We ended the session with Minced Meat Steak, which had few patties minced meat grilled and served with pepper sauce. This continental fare had pasta, bruschetta and veggies as sides. The lamb dish was liked by me, but the friend accompanying me did not like it as the patty was breaking off. The presentation of each dish served to us was very appetizing. The menu has a lot of other seafood options such as River Salmon Steak, Paprika and Basil Basa Fillet and Ginger Lemon Grass Fish. 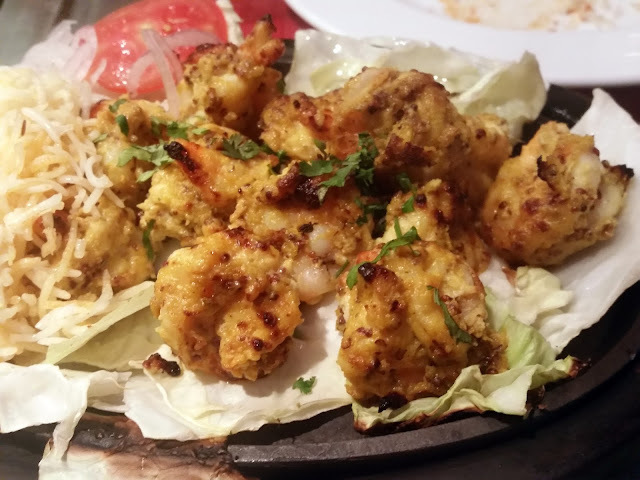 Murg Tikka Mirza Hussain and Creole Spiced Grilled Prawns also looked interesting. The festival is on from 1st August to 16th August, 2015.